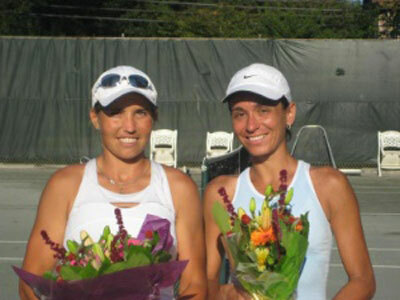 BOSTON — Celeste Frey won this year’s Boston Women’s Invitational 6-2, 6-2 over Erika Bueno. Frey is a resident of Gloucester, Massachusetts and Bueno resides in Charlestown. The event was held at the Beverly Golf and Tennis Club. The tournament was for the benefit of Charlestown Against Drugs Tennis Club (CHAD Tennis). It is the fifth consecutive year the event was held to benefit the young tennis players of Charlestown. Fun was had by all and the quality of play was once again extremely high. Many thanks to all that have supported the CHAD Tennis Club over the past 20 years. For more on the event visit bostoninvitational.com. New England Consulting Partners LLC (NECP — neconsultingpartners.com) sponsored the event. NECP is also an active supporter of Literacy Volunteers of Massachusetts (LVM) which has, since 1972, been training volunteers to provide free, confidential and individualized tutoring to adults in basic literacy and English to Speakers of Other Languages (ESOL). LVM is the state’s leading provider of these services. See lvm.org.